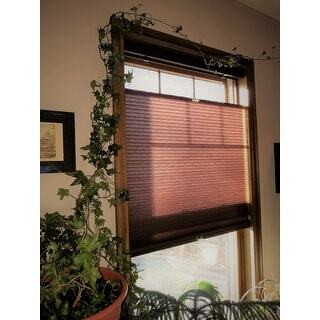 A smart option for a child-safe, modern, energy efficient home, this light filtering cordless top down bottom up (CTDBU) shade allows you to lower your shade from the top, bringing natural light into your home. Keep the bottom closed for added privacy. 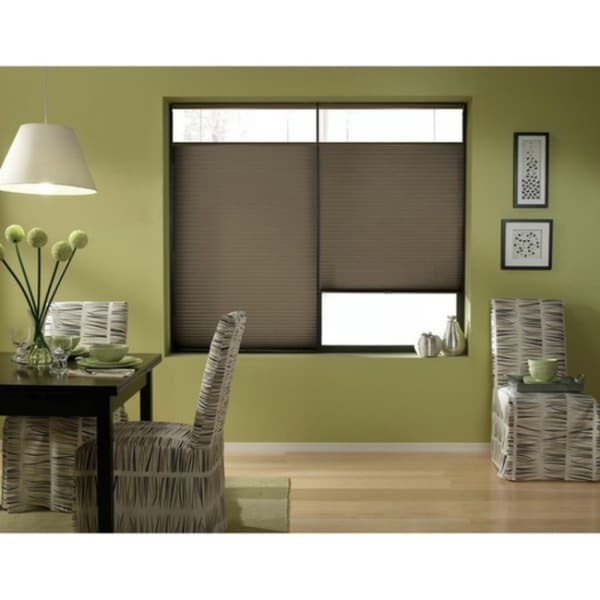 Made of 100-percent polyester and in an espresso color, these light filtering shades allow just a little bit of light into your home, allowing the comforting feel of sunshine all while providing some privacy and energy savings. Look no further for a seamless window covering; this cellular shade is it. These shades offer a contoured headrail with hidden brackets, offering a clean and uncluttered look. The cordless top-down/ bottom-up lift option allows natural light into the room while maintaining privacy.